Imagine you are writing a report about your business area and realize that you are missing one of the key facts. You decide to send a quick email or instant message with the question “Where is the information about XYZ?” to your team members. When you put yourself in your respondents’ shoes, how do you think they will react? Would they take it as a sincere question or as a critical comment that they have forgotten to do something? The challenge in this scenario is that the respondents cannot know what emotions you had when you wrote that message. They do not see your facial expressions or gestures, nor can they hear your tone of voice. Moreover, since it is coming from their boss, they are more likely to take it as a critical comment than if it had been sent by a colleague. Emails and instant messages are a great way to communicate important information to several people at the same time. However, expressing our emotions in writing can be a challenging task. Especially for a manager, the risk of misinterpretation and confusion is high, particularly on sensitive topics. This sets the tone to positive (even if you would be giving critical feedback) and leaves less space for emotional assumptions. The second and more subtle way to express your emotions is to use typographic techniques. Punctuation, exclamation marks, commas, ellipses, and dashes are effective ways to rhythm the text in the way that we want it to be read. In many programs, it is also possible to add emojis and emoticons to make our emotions visible. Other typographic styling such as bolding, italics, and UPPER-CASE can be used to emphasize our words and guide the reader’s interpretation. However, these methods are only effective when used very sparingly. The use of upper-case is often understood as shouting and a message full of emojis might decrease your credibility. The third way to communicate your emotions to the reader is through stories or small talk. Stories are invaluable, especially when you want to convey strong emotions or values. For example, Nike is known to use stories about its founders to illustrate its corporate values internally. Step into your respondent’s shoes"
A lighter way to create a positive emotional connection with your reader is to have some small talk at the beginning of the message. Personal questions or statements such as “How was your holiday in Paris?” or “I hope your daughter is feeling better already” show that you are interested in the reader and set a positive note. Also closing lines such as “Have a great weekend!” can give a lighter touch to the message. Naturally, none of these methods fits every occasion and relationship. That is why it is always important to step into your respondent’s shoes and read your message through at least once. Would you use the same words if you were meeting him or her face-to-face? If possible, you can also ask others for feedback about your message. In any case, communicating your emotions in writing should be one of every manager’s core skills, because effective communication can significantly improve the quality of your business life as a whole. Netta Nevalainen is an entrepreneurship coach, trainer, and business communication professional. 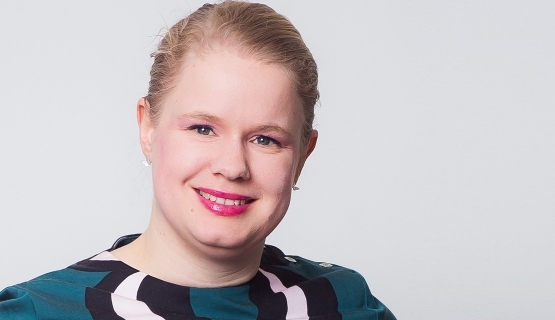 She is an instructor at Aalto EE’s Management Communication online course that offers a unique insight into newly emerging perspectives in communication and learning that serve the needs of the 21st-century professionals. Read more about the program.